If you are a Manchester United fan, you definitely celebrate nothing more than getting one over Liverpool. While claiming trophies, scoring goals and generally displaying good football is all important in the life of a Manchester United player/manager/supporter/employee, being better than Liverpool is absolutely imperative. The rivalry between the two Premier League giant is simply fierce. 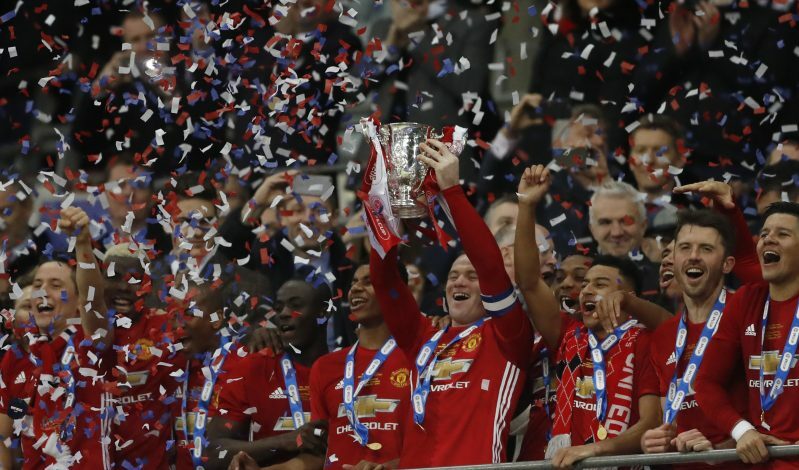 It is also why The Red Devils should be extremely happy after winning the EFL Cup final against Southampton. Going into this exciting weekend, the Red Devils had won an impressive 43 trophies in their 139-year history. 20 league titles, 12 FA Cups, 4 League Cups, 3 European Cups, 1 Cup Winners’ Cup, 1 UEFA Super Cup, 1 Club World Cup and 1 Intercontinental Cup. 18 league titles, 7 FA Cups, 8 League Cups, 5 European Cups, 3 UEFA Cups and 3 UEFA Super Cups. That means Liverpool have 44 trophies. In short, Liverpool have 44 and Manchester United did have 43. That means this EFL Cup triumph is not only the 44th honour United have claimed but it means that Manchester United’s trophy cabinet is now finally as full as Liverpoool’s. And we all know one man who would be particularly pleased by that – none other than Sir Alex Ferguson. After Mourinho’s men broke a tame enough record with the 3-2 EFL Cup win over Southampton – the Manchester United boss equalling Brian Clough and Sir Alex Ferguson’s League Cup triumphs with four titles now – They have also asserted their dominance over English football.